Guys. Llamas are my new obsession. I haven't gone completely overboard but I do want to have a lot of llama decor in my classroom! We started the year with a couple llama back to school activities and I want to share them with you! 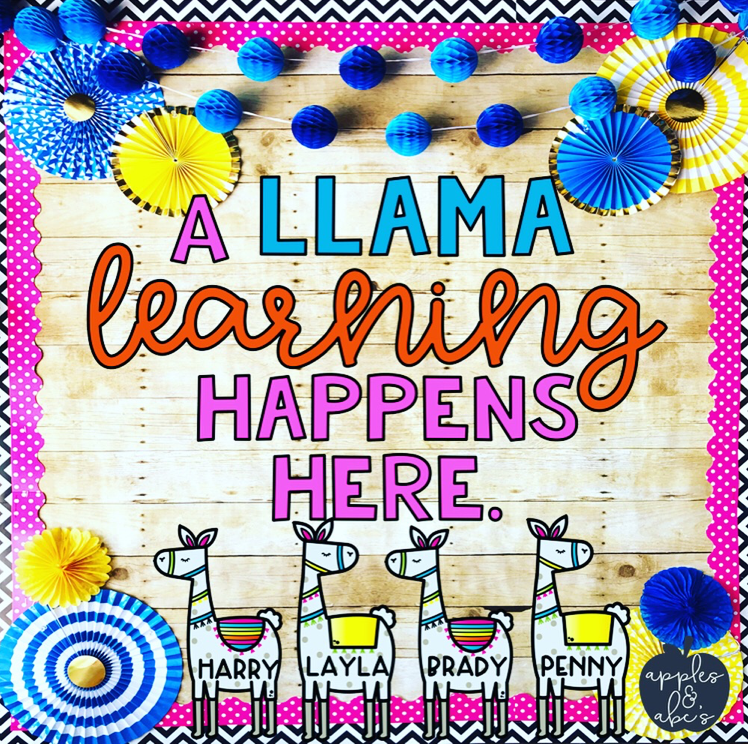 -This class is a llama fun.-A llama learning happens here.-Learning is a llama fun. All you do is pick your phrase, print the letters on colored paper, cut the letters out, and hang on your board! I also included little llama clip art that you can open in a PPT and type on! We did a llama back to school "get to know you" craft that is available in Fancy Free in 4th's store. 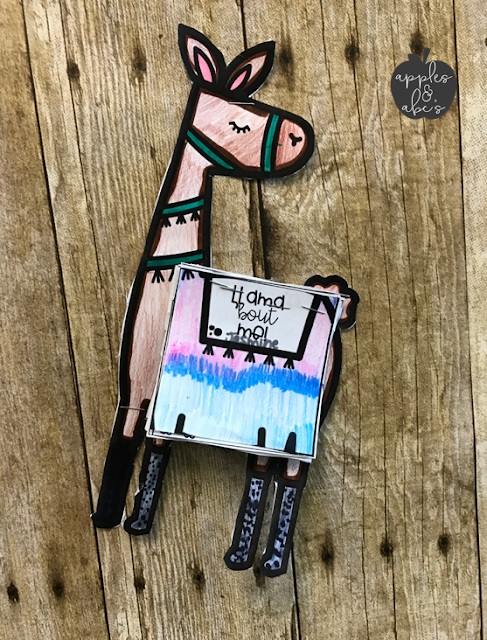 This little llama craft is SO CUTE. 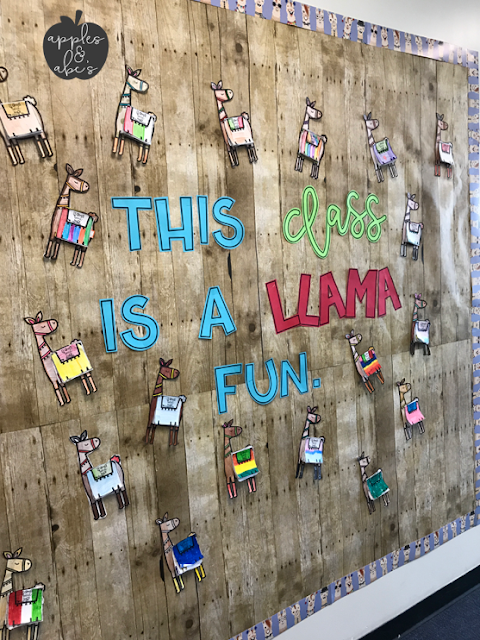 The students filled out about 10 different questions about themselves and we attached them to the llama! 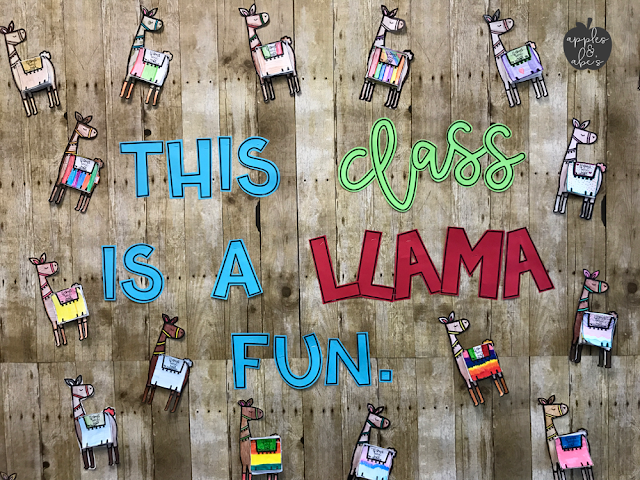 We hung the llama craft up on our bulletin board around my llama quote. This board is in the hallway and it is my FAVORITE thing to greet me in the morning. 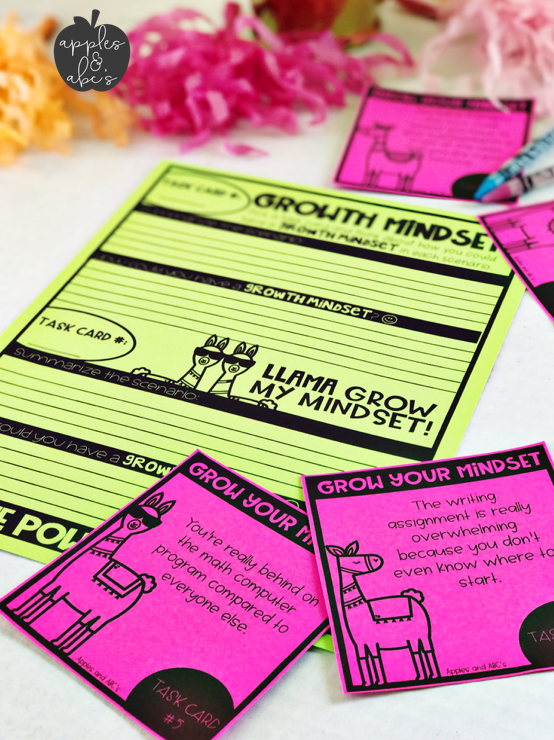 We started off teaching Growth Mindset by using these Llama Growth Mindset Task Cards. 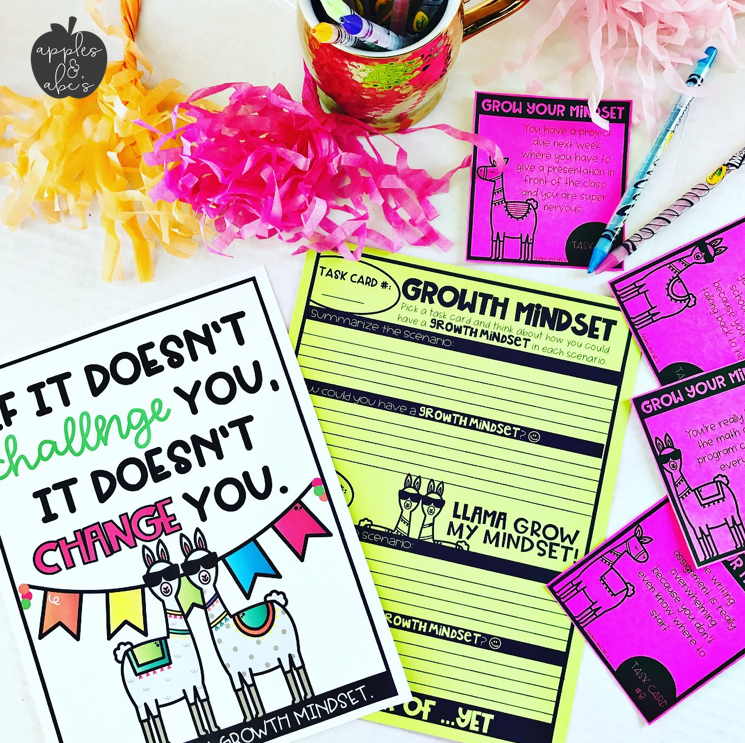 We are explicitly teaching Growth Mindset in our classroom to set the expectations that we are to never give up and to constantly try and have a growing mindset. We can always learn from our mistakes and weakensses! Use these 16 llama themed task cards to give the students an opportunity to reflect on each scenario on how they would demonstrate a Growth Mindset. 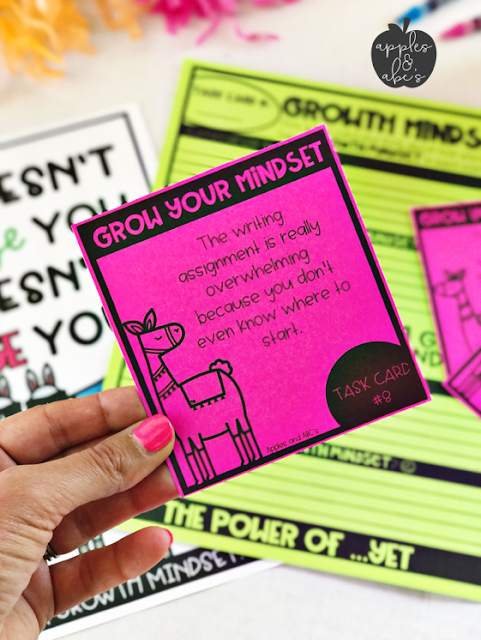 The students pick a card, and reflect on each scenario sharing how they can have a growth mindset (instead of a fixed one!). LLAMA HAVE A GROWTH MINDSET! So get ready, your are going to be seeing a lot of llama activities from me this year! 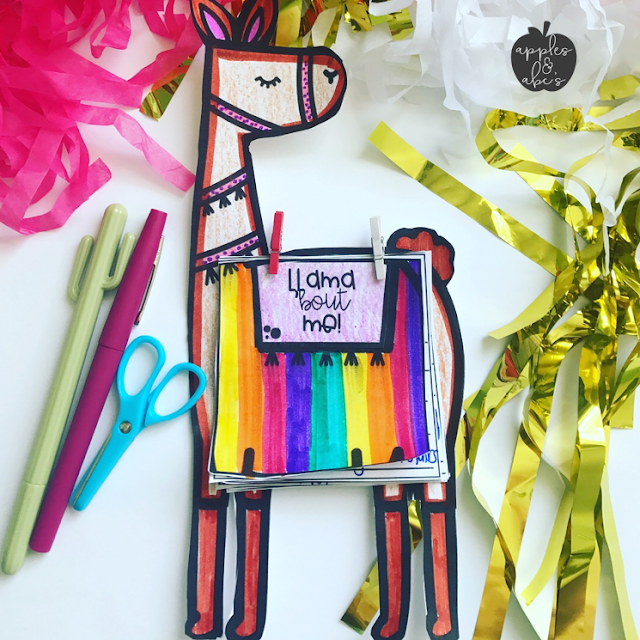 I LOVE your llama decor - you're right on trend! Nice! I found to be checking the great tactics from your web site and then suddenly growth a poor feeling I had not expressed respect to you for that plan. All of the guys appeared to be so joyful to learn all of them and have really been enjoying them. I realize you for indeed being simply helpful and then for choose this kind of ideal ideas millions of peoples are really worried to discover. I just wanted to type a quick comment to be able to realize you for those amazing pointers you are showing on this site. My time serious net search has to finish been rewarded with good facts and plan to exchange with my group. I would tell you that we site guests really are definitely blessed to exist in a decent place with very many bright expert with useful main beliefs. I feel very much blessed to have encounter your entire web page and look forward to many more brilliant minutes reading here. 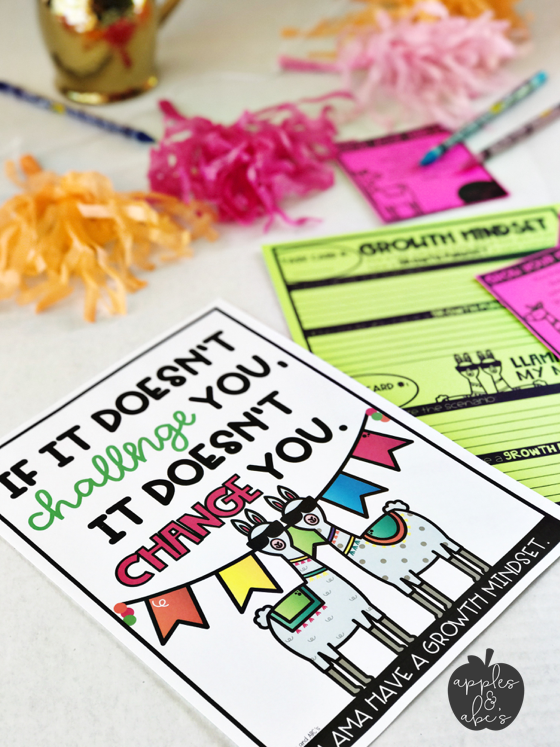 A lot of people learn all about the compel form you give useful tips and tricks on the web site and even foster response from other people on this theme plus our choice daughter is without question starting to learn so much. I am not sure the things I could maybe have used in the absence of the type of solution discussed by you over my area of interest. It had become the daunting trouble in my place; however, know your well-written approach you handled the issue took me to cry over fulfillment. I’m just happy for the help and in adding hope you are aware of a great job you are moving out taming many people through a site. Your interesting help entails a lot to me and still more to my office colleagues. With thanks from all of us.Refer cheap essay writing service to get any help in writing.